Dry Cleaners & Laundry Centers Rejoice! Do More Business. Be More Productive. It's true! 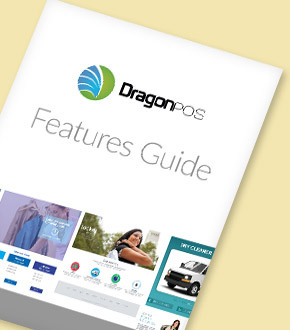 With DragonPOS you can have great dry cleaning & laundry software from only $49 dollars. Easily modernize and expand your business with today's customers' needs. Conveniences like quicker counter service, routed pick-up & delivery, Smartphone sign-up & scheduling, order & payment access, locker options and even an interactive website, all integrated in one easy to use point of sale system. Let DragonPOS turn your vision into reality. Dry cleaning and laundry software designed for garment care. Built on a cloud-based platform, DragonPOS offers power, reliability and ease of use. Whether you're a dry cleaner, laundry center, mobile operator, tailoring shop, or all the above, DragonPOS dry cleaning and laundry software connects all of our features - point of sale, eCommerce, routing, payments and customer access - so you can start your day off right and be more productive. Don't be left out of the hottest growing market! DragonPOS makes it easy to add mobile pick up & delivery to your retail location or website. Service more customers in more areas, from single to high volume accounts and put more money in your pocket. Need a website? In just a few minutes, using DragonPOS web-builder you can create a beautiful responsive design that allows your customers to sign up in real time on any device, PC, Mac, Tablet or Smartphone, which directly connects with our point of sale system for item entry, routing and billing. Eliminate your receivables! Choose the best way to offer and accept payments - partial or in full by cash, check, open billing or credit card. DragonPOS offers a complete payment platform engineered for growth. Quickly process your in-store and online customers safe and secure. DragonPOS offers a variety of Working Capital Solutions for small Business owners Nationwide. Our Businss funding program features competitive rates and flexible terms. Get your business the working capital it needs! Whether you'd like to get going on your own, or with one of our launch specialists, we're here to help. Not sure what's the right fit for you?